“Place light and shoot a balloon with your SLR Cam in a simple home studio. Work with the values in the image. To start this learning activity, I fist did a quick research on essential studio equipment that a photographer would normally use. I’ve actually owned a couple of soft boxes for quite some time now, so I’ve used these two in this learning activity. Balloon was photographed against a white wall – instead of using a backdrop solution. I had no need for flash during this exercise. 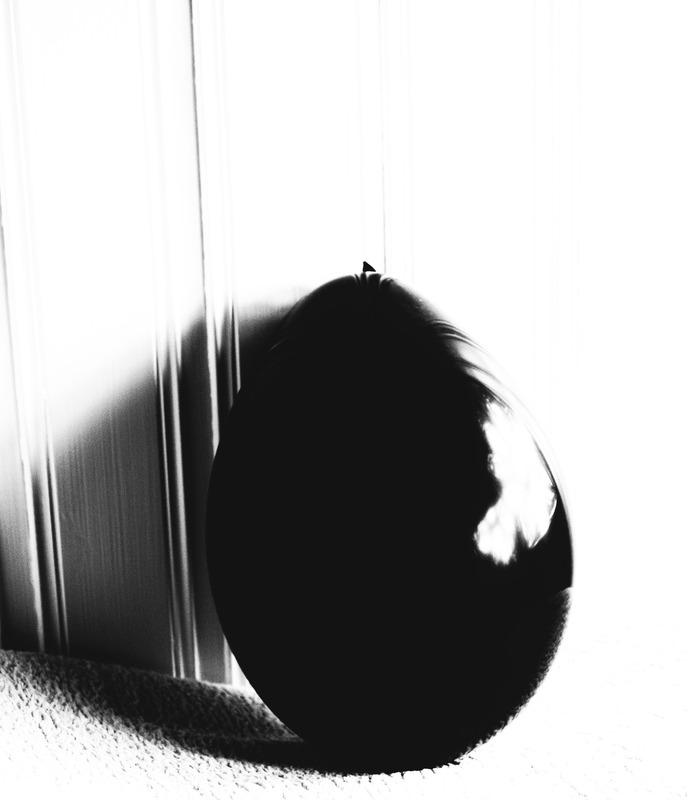 My two soft boxes were placed on the right hand side of the balloon, to cast the shadow on the left hand side. I’ve adjusted the light and exposure to brighten the image, and also adjusted the contrast to a high level. This entry was posted in Learning activities, Week 20 - Studio Potography. Bookmark the permalink.